Celestion classic series guitar speaker. 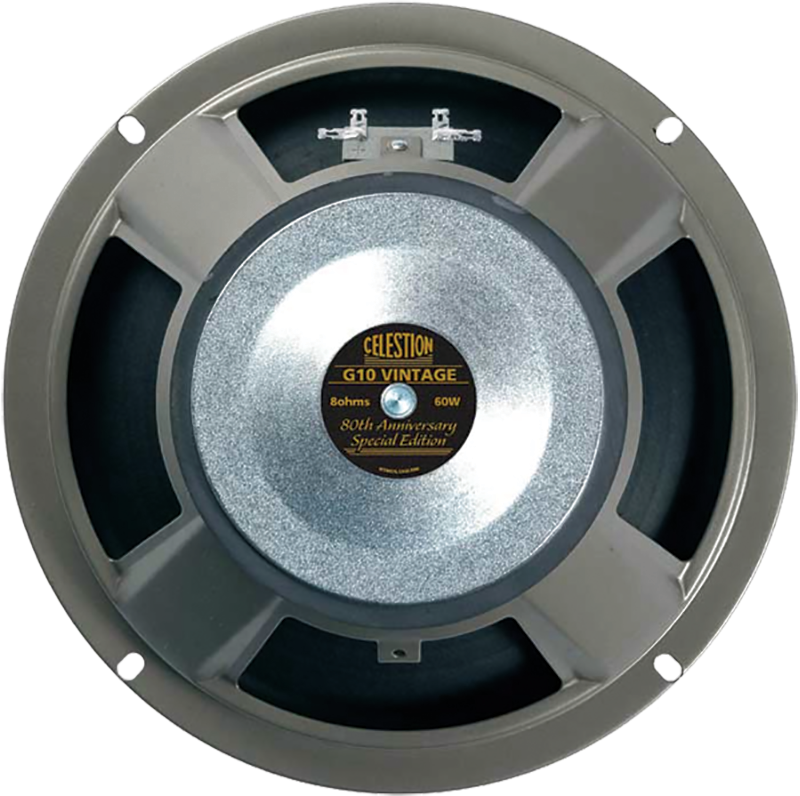 A worthy successor to the Vintage 10, the G10 Vintage is a 10" speaker with bags of attitude. Using powerful ceramic magnets and the same voice coil design as the Vintage 30, the G10 packs an impressive punch with its 60W power handling. With the fast response of a 10" but with the strong and creamy vocal tones of a 12", the G10 is the ideal choice to add depth to hollow- sounding amps, or for players who want to get humbucker-type girth from single-coils. Can be used singly to add vocal warmth to small valve combos, or in quartets for a weightier but still lively attack. 16 Ω P-A-G10V-16 Packaging Dimensions 11.4 in. x 10.8 in. x 5.3 in. 8 Ω P-A-G10V-8 Packaging Dimensions 11.1 in. x 10.8 in. x 4.9 in. All models Magnet Weight 31 oz. All models Voice Coil Diameter 1.75 in. All models Weight 6.35 lbs. 1 answers Are these speakers manufactured in China? Yes, these are made in China to Celestion's exacting specifications.